I cannot believe it is August already. Where does the time go? This year has been very eventful for us. Our youngest turned 18 and suddenly we are on the brink of being empty nesters! I know a lot of people dread this part of life, but we are really embracing it! I love seeing my kids become adults. I love hearing their opinions and seeing their choices. Each day they become more and more independent. I know I will always be close with the kids, no matter where life takes them. I have been working on preparing my daughter for the scary world of cooking gluten free for herself. I believe rice is a great place to start. I like to have a bowl of rice ready in my fridge whenever possible. It heats up quickly and It goes great with just about anything. 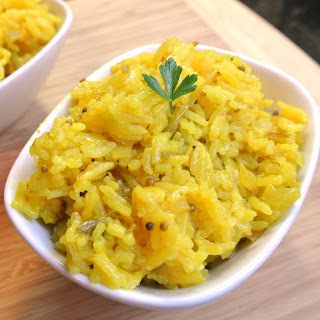 I really enjoyed this spicy rice dish and will definitely be making this one more often. You could easily add some chicken or shrimp to this dish to make it the main event. 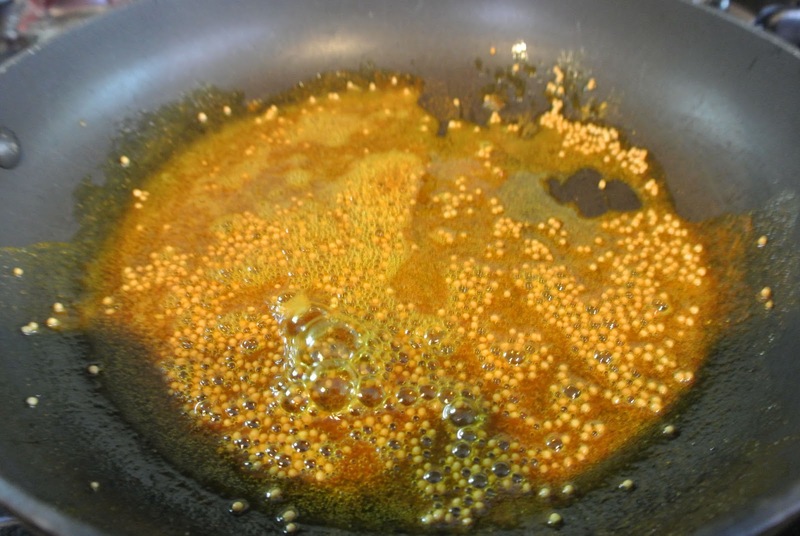 Heat oil in a large heavy saucepan over medium heat. Add mustard seeds and turmeric and cook, shaking pan, until mustard seeds pop, 1–2 minutes. 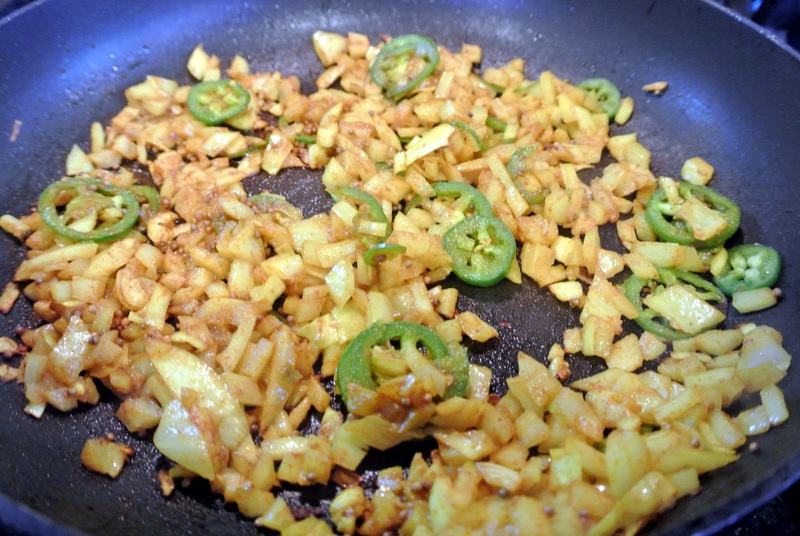 Add onion, garlic, and jalapeno and cook, stirring occasionally, until onion is translucent, about 7 minutes. Add rice and stir to coat. Add salt, and 3 cups water; bring to a boil. 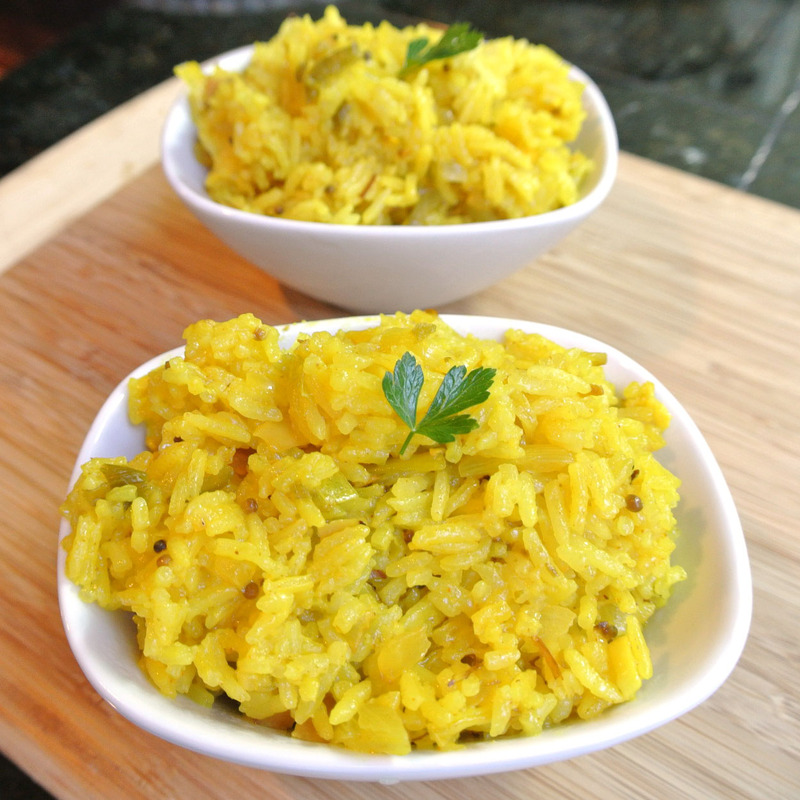 Reduce heat to low, cover, and cook until rice is tender, 20–25 minutes. Stir in lemon juice and almonds. Cover and let stand off heat for 15 minutes. Fluff and serve! Nice one. And if you want to get lemon aroma just add few lemon leaves if available.